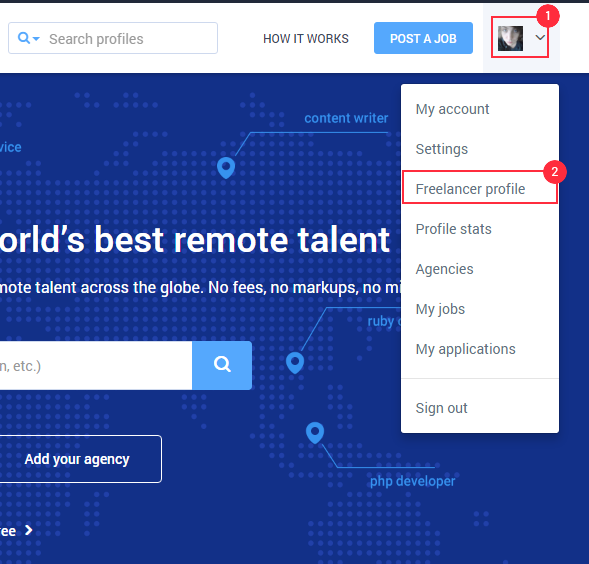 To add a freelancer profile, click on you avatar picture on the upper-right hand corner, then click on “Freelancer profile” on the drop-down menu. Next, you need to choose wether you want to add a freelancer profile or an agency. 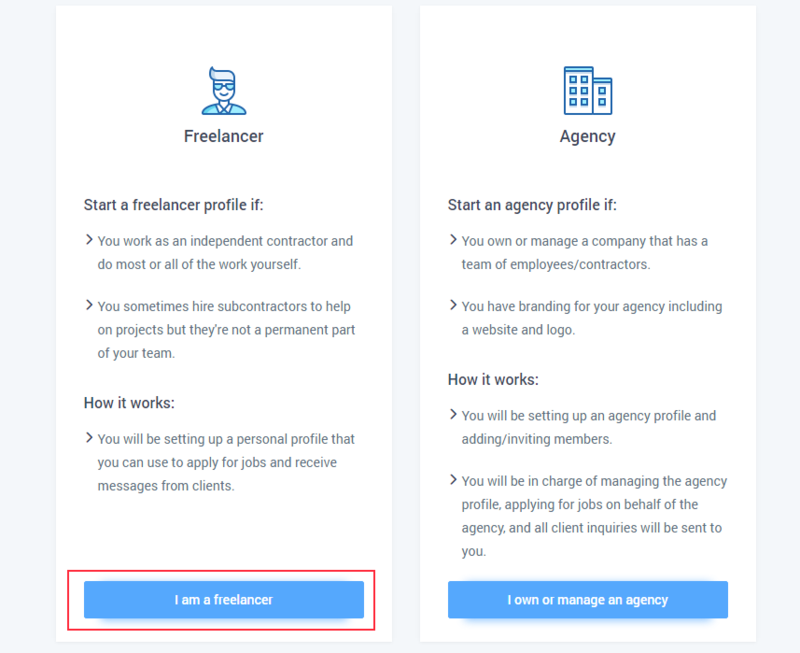 If you don’t own an agency just click on “I am a freelancer”. You’ll be redirected to a page where you can input all the details necessary for your profile. 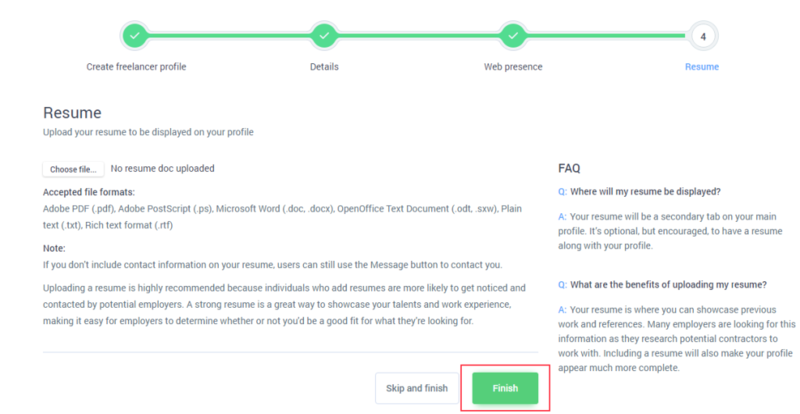 Simply go through the steps on the wizard to complete your freelancer profile. Once you’ve completed all the steps, click the “Finish” button to save your profile. You’ll be able to edit and make changes to your profile as you wish. How do I add a freelancer profile to my agency?